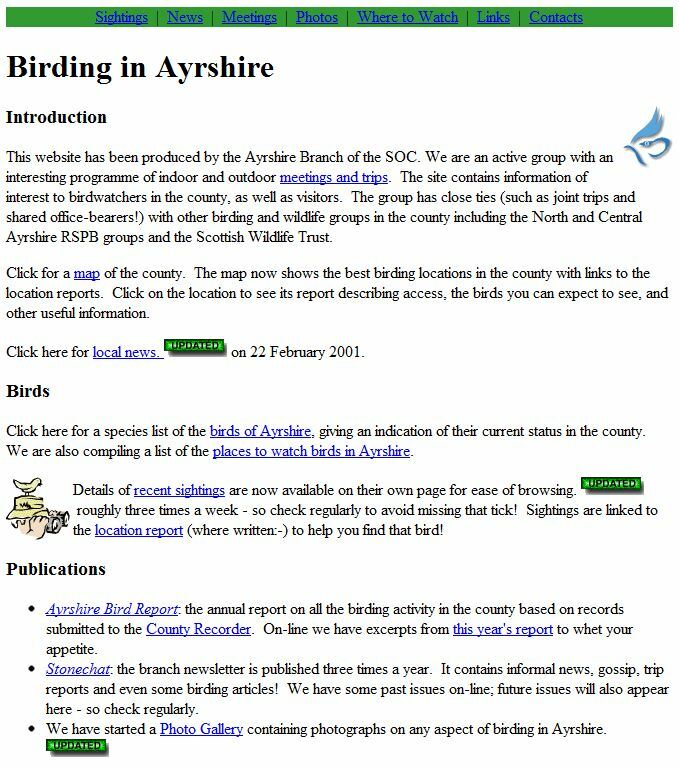 The Ayrshire Birding web-site celebrates its eleventh birthday at the beginning of June: there can’t be that many local birding clubs with active web-sites that old. 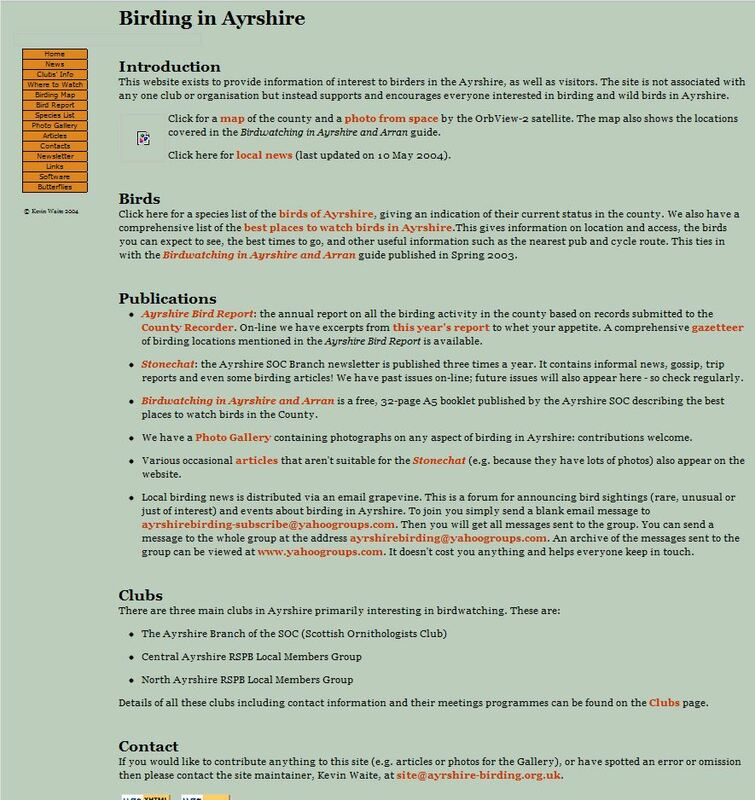 In that time it has changed style a few times, switched from static HTML pages to full content management, collected 1000+ photos (mostly gulls:-), built up a comprehensive guide of birding locations, tried stuff, dropped others and been supported throughout by a loyal bunch of contributors. So for a bit of nostalgic fun I’ve dug out a couple of screen shots from the early days: spot the text that hasn’t changed much… And hasn’t web design come a long way! Actually, when you think about it, we are back at the start – a simple design with a white background. This entry was posted in News on 18-May-2011 .